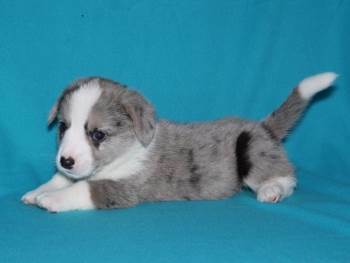 The Cardigan Welsh Corgi is a popular, compact dog breed. 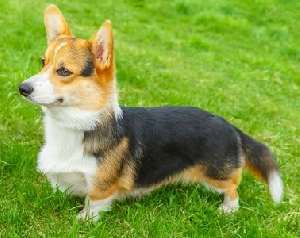 It is one of the two Corgi breeds and is known for its intelligent and silly personality. These dogs are popular all around the world for their capabilities as a loving lap dog. These little fluffy dogs hold the spot as the 76th most popular breed. Despite their size, this breed is bursting with energy. They are easily excited and love to play, making for lively company. It’s important that their energy is manifested in good behavior, like playing or exercising. 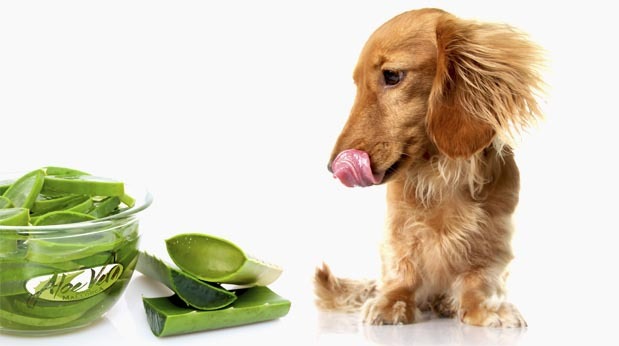 Otherwise, these dogs will find other ways to occupy themselves, like chewing on your stuff. The Cardigan Welsh Corgi is famously a social dog. They love hanging around their owners family and their guests. They function best when they are allowed to participate with their family as it makes them feel involved. They especially like attention, but too much attention can make for a spoiled dog. These dogs will be happy playing fetch or just sitting on the couch watching TV with their owners. This breed likes attention, maybe a bit too much. They are notorious for having separation anxiety when away from their owners. Often, owners of this breed will have to send their dogs to day cares or hire dog sitters if they are away from home during the day. Supplying the dog with constant admiration will only make this worse, as it only makes them more aware that they are alone. Corgis are known for having a big appetite. They are prone to overeating, which can lead to multiple health issues. It’s important to monitor how much one of these dogs is eating compared to the amount of exercise they get. 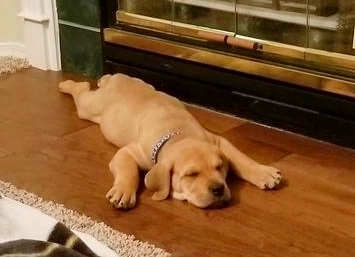 The breed functions best when it works off its excess energy through exercise. Regular exercise also regulates their diet by giving them a steady metabolism. The Cardigan Welsh Corgi is rather mouthy. They like to bark a lot, and this can become a nuisance after a while. They are known for being wary dogs, and will bark when alerted by something unusual. They are cautious of strangers as well so a Cardi will let you know whenever one is walking by. This breed is known to come with a bit of an attitude. It can become bossy, and assume its traditional role as a herding dog. They can become territorial and protective of their owners and their property. This may get a bit annoying when they are protective of their owners against guests. They function best when they understand that they are not the protectors and herders of the family. This breed famously coexists very well with people of all ages. Their calm and gentle personalities make them capable of living with the elderly as well as children. They are known to favor especially playing with children, although the will approach most people happily. Overall, the breed is well recommended for families and functions best in family environments. Although they will happily live and play with people and children, they are less social with other pets. Cardis are known to be aggressive sometimes towards other canines. They coexist best with other pets when they have been living with them for a long time. They are calmest when they have been socialized with many people, animals, and sights. 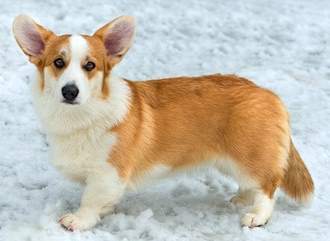 The Cardigan Welsh Corgi is one of the two Corgi breeds. 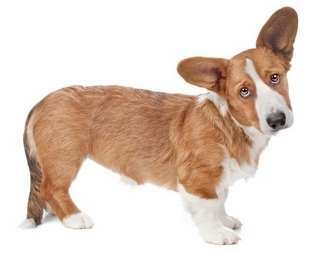 Corgis are descendants of the Teckel family, a breed that would in turn also produce the Dachshund. This is a trusted theory, given the parallels between the two dog breeds. Teckels were brought to Wales about 3,000 years ago by ancient peoples occupying Ireland. Teckels lived out their days as herd dogs, helping keep neighboring cattle away from their owner’s property. They nipped at the heels of their owners animals to keep them together and scared off any other animals with their loud barks. This breed prospered as a farming dog for a long time, as it would be a while before the enclosure movement would replace many herd dogs. The creation of the Corgi comes from cross breeding with the Teckels. 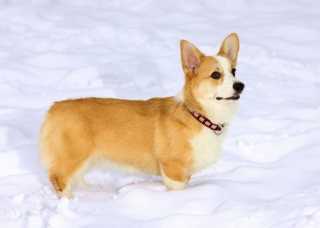 The Welsh Corgi then continued its life uninterrupted for a while, until Vikings came to Wales to take over. With them, the Vikings brought the small dogs related to the Spitz, which would end up breeding with the Welsh Corgi to produce the Pembroke Welsh Corgi. This is where the Cardigan and Pembroke split, as the Cardigan is the original Welsh Corgi that had descended from the Teckels. The Industrial Revolution would later put both Corgi breeds in danger as they were no longer necessities. The enclosure movement led farmers to fence in their land, leaving less demand for herding dogs in general. The survival of the breed lied in the hands of those who appreciated it beyond its vocational applications. Fortunately for Cardis, they were often for aristocrats who could afford to keep them. Aristocrats that especially liked Corgis kept small families of them, and many Corgis today can be traced back to their roots in Wales and Europe. There was no official distinction between Cardigans and Pembrokes for a while with the Kennel Club of Britain. Although, beforehand breeders of Corgis made the distinction themselves, and were upset when the two were bred together. The Pembroke and Cardigans registered as different breeds in 1934. The Cardigans first made their way into the US in 1931 and were just as popular there as in Britain. n the US, they were only known for their personalities as domestic pets. Soon they gained a lot of popularity in the US and were showed in dog shows around the country. The next interruption in their rise to fame would be WW2. A lot of dog breeds saw their populations threatened during the World Wars. Many families in both Europe and the US were less concerned in affording dogs than food, and this included the Cardigan. Luckily, once again many breeds were preserved by breed clubs and wealthy who could afford them. They later saw a large boost in popularity post-WW2 in the US, along with many other dog breeds. The economic prosperity the US saw at this time allowed for the average US family to be able to afford domestic pets. The Cardigan Welsh Corgi was recognized by the AKC in 1935. The Cardigan is not known to be a very difficult dog to train. Owners find most difficulty getting them to understand that they aren’t in charge. Cardis are notoriously bossy, so it’s important to be a disciplinarian figure when owning one. Otherwise, they will take charge and walk all over their owner. Owners often take their dogs to obedience classes to command their attention and respect. Cardis are also infamously stubborn, so it’s best to iron out bad habits early on. Their most common offenses are excessive barking and chewing on things. The best way to prevent a Cardi from barking at everything it sees is by exposing it early on to many people, animals, and things. Owners often take their dogs to dog classes to socialize them with other dogs. It’s important to teach a Cardi the property boundaries early on as well. Since it historically was a herding dog, it works best when it knows its boundaries. Thankfully this breed isn’t known to want to run off too often, as it is too busy guarding its territory. It’s also a good idea to teach the Cardi the difference between friend and foe, or else they may end up guarding their territory against your grandma. As you can imagine, the Cardigan Welsh Corgi is not the best regarding protection. This dog is all bark and no bite. That being said, they can bark quite well, and are very capable of alerting their owners to an intruder. Cardis will always make better watchdogs than guard dogs in any capacity. Given the breed’s small size and weight, it won’t be doing too much damage to an intruder. At most the dog will be able to defend your property from a group of angry squirrels. Corgis, on the whole, are not very aggressive towards humans, so they might not see an intruder as a threat at all. All dog breeds are bound to face some sort of health complication down the road. Some breeds are more prone to certain health issues than others, however, and anyone buying a dog should be aware of the risks that come with the breed. Altogether, Cardigan Welsh Corgis tend to be relatively healthy dogs. It isn’t inevitable that they will be affected by any of these health complications, but it is important to be aware of them regardless. It’s important to purchase a Cardi from a reputable breeder as well. A good breeder will know a lot about the breed and be able to pass health checks for their dogs. If you think this breed might be just perfect for you, please consider doing a bit more research, just to be sure. The following books are recommended - click on the images to find out more.